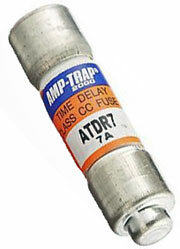 Looking to buy fuses online at a competitive price? National Fuse Products offers a wide selection of European, Japanese and North American electrical fuses. We carry fuse products from top manufacturers including Littelfuse, Mersen, Daito, Fuji, Hinode, Edison, Ferraz Shawmut, and Bussmann fuses at competitive prices. National Fuse Products are licensed fuse and fuse product distributors for Littelfuse, Mersen, Cementex, Legrand, and HellermannTyton. It is important to choose the right fuse with the optimal short-circuit protection for safety. As noted in this article by Plant Services, the practice of replacing the fuse you took out only works if there are no changes or upgrades. A properly selected fuse replacement should provide the desired level of protection, reducing the potential of arc-flash currents. At National Fuse Products, we want to insure the availability of the right fuse needed for each customer’s needs. Many of our customers follow a fuse spare consolidation plan to ensure the right fuse’s availability when needed and to identify and remove obsolete fuses to avoid misuse. If you are unsure which electrical fuses or accessories you need – our customer service team is here to help. Give us a call at 800-328-0496 and we’ll happy to assist you!